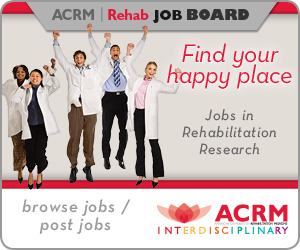 Archives of Physical Medicine & Rehabilitation (Archives) is the acclaimed international journal of ACRM covering the specialty of physical medicine and rehabilitation and allied disciplines. According to the Journal Citation Reports, the 2017 Impact Factor for Archives is 3.077. The Archives ranks ninth out of 65 journals in the Rehabilitation category and 15th out of 81 in the Sports Sciences category. It also has the highest Impact Factor of all general Rehabilitation journals that are not discipline- or condition-specific. With 23,438 lifetime citations, Archives is by far the most cited journal in Rehabilitation. 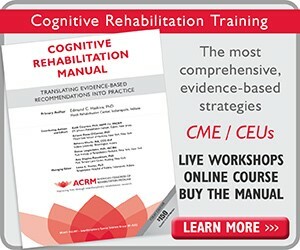 For people in a vegetative or minimally conscious state caused by brain injury, an accurate diagnosis and ongoing medical and rehabilitative care based on the latest scientific evidence could mean a better chance for recovery, according to a new guideline by ACRM, the American Academy of Neurology (AAN), and the National Institute on Disability, Independent Living, and Rehabilitation Research (NIDILRR). View the Guideline, Systematic Review and Summaries below. The Editorial Board congratulates the Archives’ 2018 Elite Reviewers. 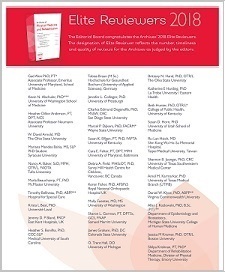 The designation of Elite Reviewer reflects the number, timeliness and quality of reviews contributed to the Archives as judged by the editors. 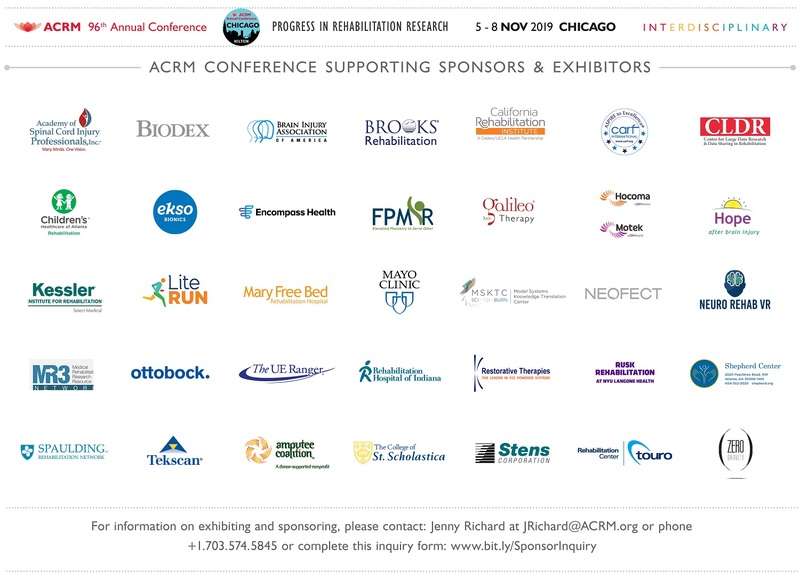 We would not have achieved recognition as a leading rehabilitation journal and been able to contribute to the scientific literature without the dedicated support of our reviewers. Thank you for your many contributions to the peer review process. 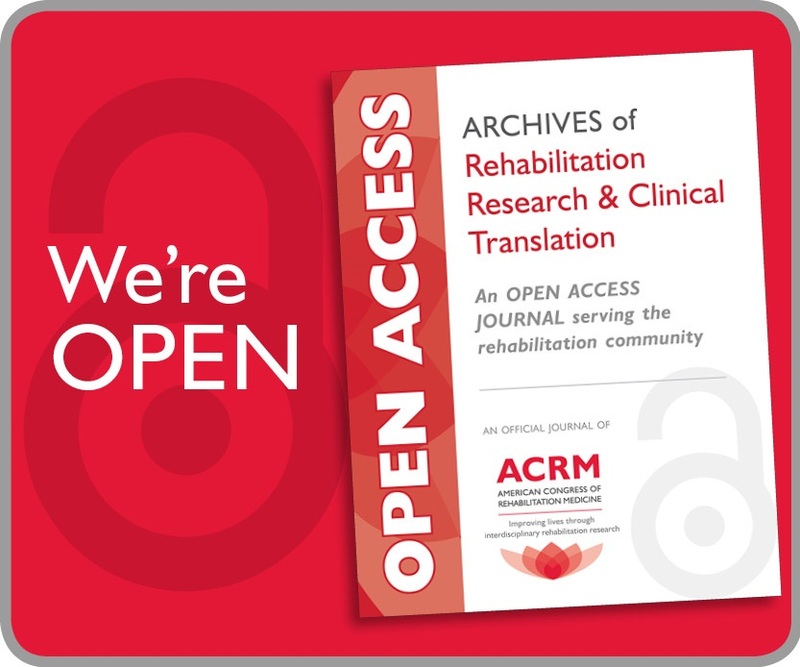 ACRM Members also receive free online access to archival issues of Physical Medicine and Rehabilitation Clinics published by Elsevier. Non-members may subscribe directly from the Archives website. Choose the opportunities that best meet the goals of your institution. 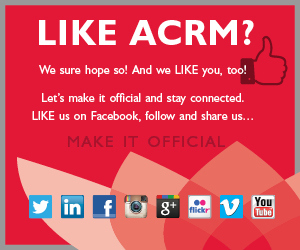 The Archives of PMR iPad® Edition and Android app are free to all ACRM members and Archives subscribers. Simply register to activate your access, then visit the iTunes Store or Google Play Store to download the app. Browse new issues and read new Articles in Press throughout the month, or jump to the featured articles with just a tap! Personalize your experience with My Reading List, Notes, saving articles for offline reading, sharing articles via social media, emailing useful content, etc. The March 2019 Issue (Volume 100, Issue 3) has published.